That’s straight from a former federally employed Surgeon General. But wait…doesn’t the Federal Government say that Marijuana has no medical value? Welcome to the grey area of what should be the green revolution. So what if there are multitudes of anecdotal accounts of the relief found with Cannabis? Or that there are new discoveries made every day about how hundreds of synergistic compounds within the whole plant act on specific conditions? The recommendation was based on the findings of five research studies, four of which used questionable methodologies, low quality Cannabis (street weed) and one funded by Big Pharma — specifically GW Pharmaceuticals, makers of Sativex (a cannabis derived oral spray with a 1:1 THC/CBD ratio and touted “entourage effect” of a wide spectrum of terpenes). 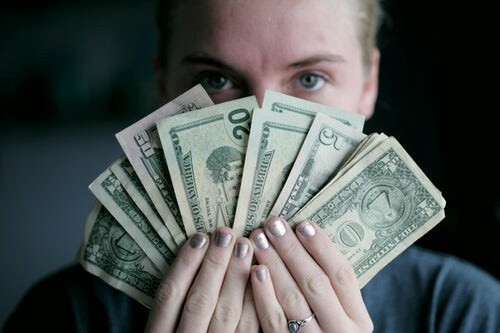 Of the five, four of the studies reported neutral or negative findings and the one funded by GW Pharmaceuticals reported significantly positive results. See how they are starting to steer the wagon? There is already knowledge about optimal ratios of THC/CBD, dosage and terpene profiles, yet they still want to control access as if we are incapable of freely discovering our own specific protocol. Multiple Sclerosis is an immune-mediated condition that causes damage to the Central Nervous System (CNS). It affects the brain, spinal cord, and optic nerves. 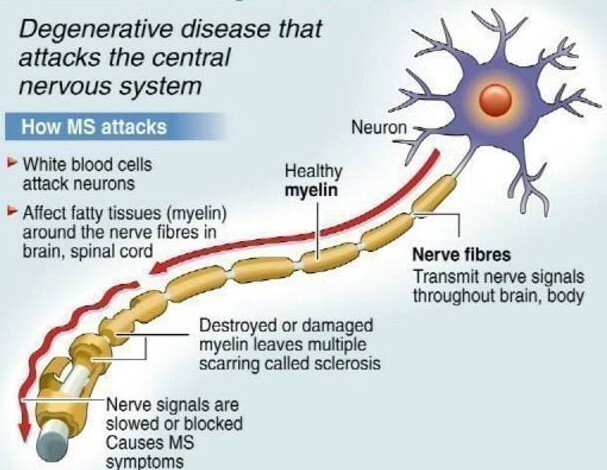 In MS, the immune system causes inflammation and destroys myelin, the protective sheath that covers nerve fibers. This disrupts the signals that affect your brain and the rest of your body. It can cause the nerves themselves to deteriorate or become permanently damaged. 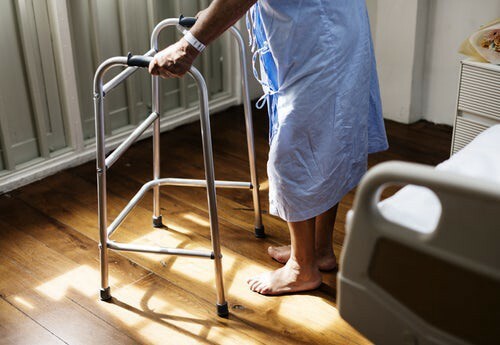 It is an incurable condition for now but does respond to treatment, which can often alleviate symptoms of fatigue, spasticity, muscle stiffness, depression and pain. Traditional medications to treat MS include a dozen or so FDA approved drugs aimed at slowing the progression of the disease and reducing relapse. Unfortunately, none of these drugs have clear mechanisms of action and there is an extensive list of side-effects for each one. That include depression, increased suicide risk, skin rashed, and even basal cell carcinoma! The drugs prescribed for symptom relief include your usual suspects: Dilantin, Percocet, Kolonopin, Neurontin, Prozac, Provigil, Elavil, and Effexor. All are have guaranteed side effects and marginal chance of success. It is no wonder that Cannabis is highly favored for symptom relief by almost 66% of a recent study of people with MS (https://www.ncbi.nlm.nih.gov/pmc/articles/PMC5874292/). Most without a medical card and scientific guidance. The extensive anecdotal accounts report relief of nerve pain, muscle pain and cramps, depression, anxiety and insomnia. There is also research showing some promise in its slowing or stopping the progression of the disease. Related: Cannabis vs. Cancer: Therapeutic Relief or Cancer Killer? But this is where we run into a bit of a problem. Research. 1. The Federal Government, underwritten by Big Pharma, has denied us one of human kind’s most beneficial medicinal plants in the name of Big Profit. They built so many bureaucratic barriers around it that it has been almost impossible for scientists to research it. 2. You are entering unchartered territory. There have been many exciting discoveries about beneficial ways in which Cannabis reacts with humans. We are just scratching the surface of the many possibilities, but we are decades behind where we should be because of the stalwart defensive stance of PTB (Powers That Be). A defensive stance implies that they consider what they are defending valuable — hiding behind the Schedule 1 smokescreen that the people’s best interest is being served. Protecting us from a "dangerous narcotic with zero redeeming medical value." Oh please. When a governing body knowingly suppresses a substance that could affordably alleviate suffering for millions — by controlling research, supply, and manipulating public opinion — you wake up to the fact we are living with a healthcare system that values profit over people’s wellbeing. It’s just never been this crystal clear before, I guess. Thankfully, there have been a host of passionate advocates and scientists who have conducted their own research about the relevance of treating conditions such as MS with Cannabis. A good place to start is Cannabis Pharmacy: The Practical Guide to Medical Marijuana by Michael Backes with a forward by Andrew Weil, MD. You will be treated to a brief history of Cannabis as a medicine, with its origin dating back 27.8 million years ago upon the northeastern Tibetan Plateau in Central Asia where it diverged from hops . In China, 4,700 years ago cannabis was used as an important herbal remedy that expanded through oral tradition to cover over 100 medical conditions. It then spread throughout the Mediterrean region, Egypt, Greece and India. In ancient Persia (now Iraq), cannabis was ranked as the most important of all known medicinal plants. In Western medicine, between 1840 and 1900, more than 100 articles citing cannabis' therapeutic qualities were published in American and European medical journals. 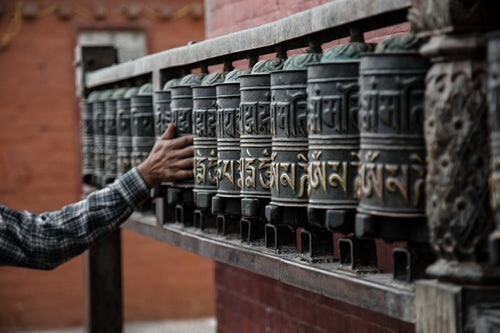 Just to be clear…Cannabis is a plant of Tibetan origin millions of years old that has been used for medicinal purposes for thousands of years in many diverse places to treat hundreds of medical conditions. Hmm, it seems intriguing and worthy of at least some research, doesn’t it? “Nah,” say the feds. Mind-boggling. Fast forward to today where new discoveries have opened up an enlightened understanding of how Cannabis interacts with the human body. The human Endocannabinoid System (ECS), discovered in 1964 by Raphael Mechoulam at Israel University, is a system of receptors located in the brain and throughout the body that regulate sleep, appetite, mood, inflammation and balance. And wouldn’t you know that the complex substances in cannabis (cannabinoids) — THC, CBD, terpenes, anandamide and hundreds of others — fit into many of those empty receptors like balance-restoring keys. Endocannabinoids effectively modulate the flow of neurotransmitters, keeping the nervous system running smoothly. Dr. Eric Downer is an Assistant Professor at Trinity College in Dublin, Ireland, where he also leads an active research group focused on patient-orientated research. Eric’s research interest is in Neuroscience and Immunology, with emphasis on the role of the immune system in MS. He has a particular interest in the human endocannabinoid system, and its therapeutic potential in MS.
MS is often described as the nervous system coming under attack, with the front line of attack being orchestrated by immune cells passing from the blood into the brain. Cannabinoids have been shown to mute this attack. By locking into receptors they block the movement of damaging immune cells into the nervous system. 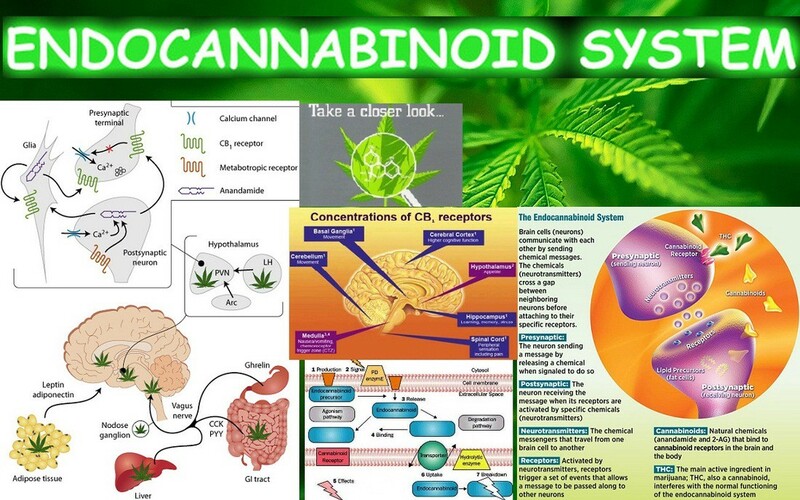 Cannabinoids have a wide range of effects on the functioning of cells and organs of our immune and nervous systems, the systems involved in MS progression. This is because the mechanisms by which cannabinoids function, the cannabinoid receptors, are distributed throughout the cells of our immune and nervous systems. From the brain to the gut, cannabinoids find and fill voids at receptor sites, reinstating homeostasis, or balance. Eric Downer feels that the large body of research evidence has made it clear: cannabinoids can control the survival and death of nerve cells. But what, he asks, exactly does this mean for MS? As potent neuroprotectors, cannabinoids have intricate effects on pain pathways in the nervous system. Due to their impact on the nervous system, cannabinoids have potent pain relieving properties. Cannabinoids possess anti-inflammatory properties, and can thus regulate networks of pro- and anti-inflammatory cytokines in immune cells and brain cells. In the most recent study (March 2018), Medical cannabis was found to safely and significantly reduce chronic pain in older patients with multiple sclerosis (MS) and a wide range of other conditions. Data showed that after six months of medical cannabis treatment, the vast majority of patients reported moderate to significant improvements in their condition, with more than 93.7 percent — of 901 respondents — reporting a significant decrease in pain levels (declining from a median of eight on a 10-point scale to four). Approximately 60 percent of these respondents also reported an improved quality of life. Medical cannabis was also found to lead to a decrease in the use of prescription medicines, including opioids — about 18.1 percent of patients stopped using opioid analgesics or reduced their dose. These findings — that Cannabis is safe, effective and can replace dangerous opioids, for PwMS, is hugely significant. In Cannabis Pharmacy, Backes makes specific dose, strain and delivery recommendations for a number of MS symptoms ranging from insomnia, spasticity, and pain to disease modification. For example, it is known that cannabis strains, containing CBD levels equal or higher than THC, have positive effects on muscle spasticity and pain in PwMS. These positive effects of cannabis on spasticity and pain and its safety have also been emphasized by the American Academy of Neurology. So for the management of pain and spasticity, 2 to 6 mg each of THC and CBD every three to four hours is recommended. 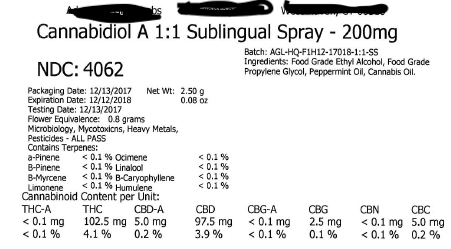 For anxiety, an 18:1 CBD to THC tincture in 5 mg doses as needed is indicated. Disease modification (slowing the progression, preventing relapse) is addressed and recommendations are also made in this regard. The future looks extremely bright for the treatment of MS with Cannabis. Make sure to stay current with research and talk openly and honestly with your doctor.